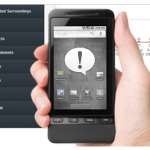 StealthGenie is a powerful cell phone spy app that can be installed onto any Blackberry, iPhone or Android phone. Once installed, the app runs in the background and uploads the phone’s usage information to StealthGenie’s Control Panel that can be accessed from a smartphone, tablet, or computer. The StealthGenie has all the features you’d expect out of a spy app. It can record all incoming and outgoing calls on the target phone, and it can monitor text messages, social media, web activity, and even track the user’s location using GPS. It can also turn on the phone’s microphone and record everything going on around it. This is by far one of the most advanced cell phone spy software on the market today. StealthGenie comes in three editions, Basic, Gold, and Platinum. The Basic version offers only basic features, such as the ability to monitor phone calls, SMS messages, contacts, and browsing history, as well as track the location in real-time. The Gold version offers additional features, such as the option to record phone surroundings, read sent/received emails, view photos, and SIM change notification alert. The Platinum version offers even more advanced features like remotely controlling the phone, recording calls, tracking without GPS, and spying on instant messengers. As you can see, StealthGenie Platinum really has all the features you need to remotely spy on a cell phone. You can view all the information from the monitored phone, such as text messages and phone calls, via the web-based control panel. 100% Undetectable: The StealthGenie spy app is totally undetectable so you don’t have to worry about the monitored user finding it on their cell phone. After installing the app, data from the phone is sent to StealthGenie’s servers. It takes around 25 minutes for the first time. After that, any new data update is uploaded in real time. Your entire settings and preferences, along with the target phone’s data is saved on the StealthGenie server. It gathers all the data from the target phone and uploads it as soon as any new phone activity takes place. All the monitoring data, with logs and details, can be accessed anytime by logging into the control panel. Follow these steps to get started with StealthGenie. The first thing you need to do is make sure that StealthGenie works on the phone you want to monitor. It works on most Android, Blackberry, and iOS devices. Once you know that the phone you want to monitor is compatible with StealthGenie, you can simply complete the purchase process. 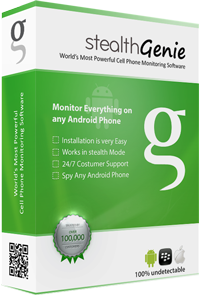 After buying a StealthGenie subscription, you will need to install it into the phone you want to monitor. Once the installation is complete, you can log in to the StealthGenie control panel to access all the monitored data. 1) To install StealthGenie, you’ll need to access the target phone for a few minutes. 2) The target phone you are installing StealthGenie on has internet access. 3) The target iPhone needs to be jailbroken. Jailbreaking an iPhone allows users to install StealthGenie on their iPhones. 1. Is StealthGenie software invisible? Yes, StealthGenie works completely invisibly so the phone user will never know that they are being monitored. 2. Is it legal to use StealthGenie? In the United States, it is legal for parents to monitor their children’s internet use. Employers generally are allowed to monitor phone calls, email and other activity on company-owned mobile devices. If you attempt to use StealthGenie to spy on a cell phone you do not own or have proper written consent to do so by the owner of the phone, you may be breaking the law. 3. Can I monitor messaging apps (WhatsApp, SnapChat, Facebook Messenger, Skype, Viber)? Yes, you can remotely monitor what they are up to by reading their instant messaging chats like Facebook Messenger, WhatsApp, Viber and Skype. 4. Is there a trial version of StealthGenie? Unfortunately there is no trial version of the software. 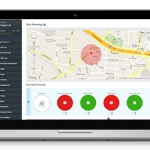 Have a look at the Live Demo of StealthGenie Control Panel to explore the features of the software. 5. Can I install StealthGenie remotely? No, you cannot install a spy app on someone’s cell phone remotely. 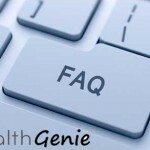 Physical access is required to install StealthGenie, which usually takes around 10 minutes. StealthGenie is highly-advanced cutting-edge cell phone monitoring software that monitors and tracks the phone’s activity and updates you on it instantly. No matter where they are. You get full access to their phone usage and data in three simple steps: purchase, install and monitor remotely. DISCLAIMER: Please be aware that you use the spy software at your own risk. Last updated: December 9, 2018.